Not all ships are created equally. 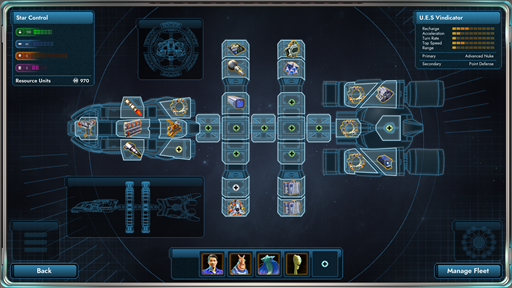 This is particularly true for the ships of Star Control itself. In the year 2088, the United Earth Advanced Space Vehicle Program (UEASV) had done its best given the politics involved. 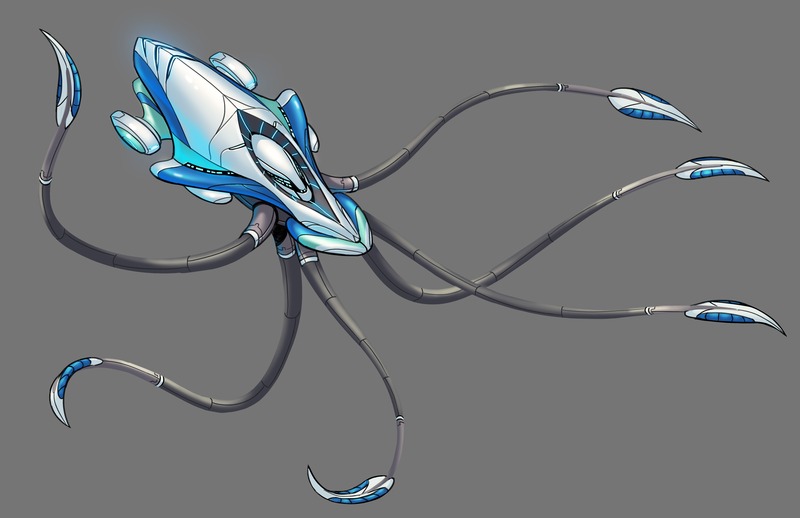 But ultimately, what Star Control starts out with is a ship with very much the capabilities that a ship in 2088 would have, which is to say: it can... turtle around the solar system. The first long-range ship program - the Vindicator program - was designed to allow the ship to be frequently updated with new modules. Because the ship was designed to handle technology from different nations such as the United States, China, Russia, Japan, Germany, France, Brazil, etc. the interfaces are remarkably flexible. 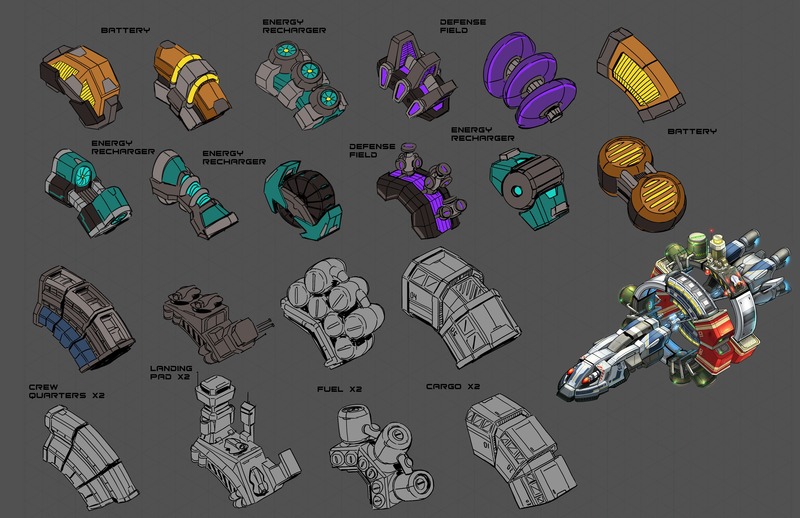 The early concepts for the Vindicator and Earth Cruiser took inspiration from many real-world and science fiction sources. There are nods to Star Trek, Space 1999, and of course, previous Star Control games. 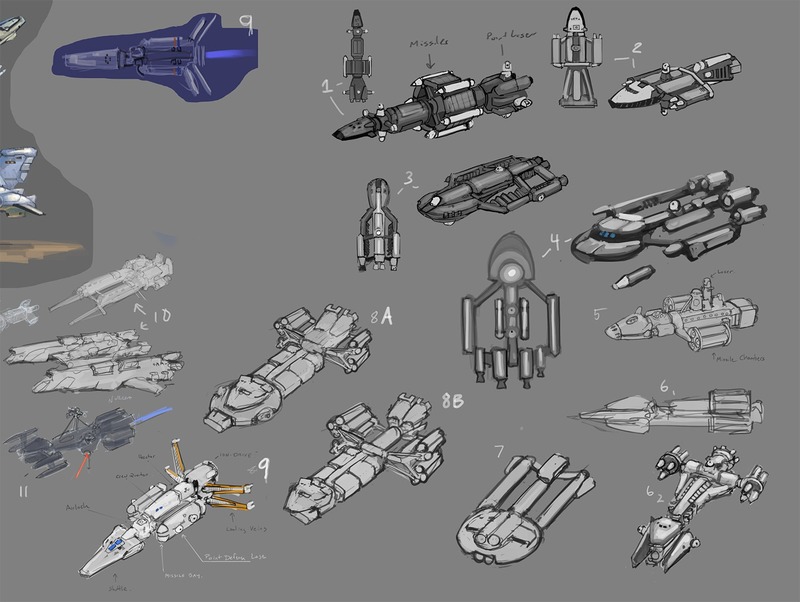 Our main focus was to make ships that would look and feel like ships that might actually exist by 2088. 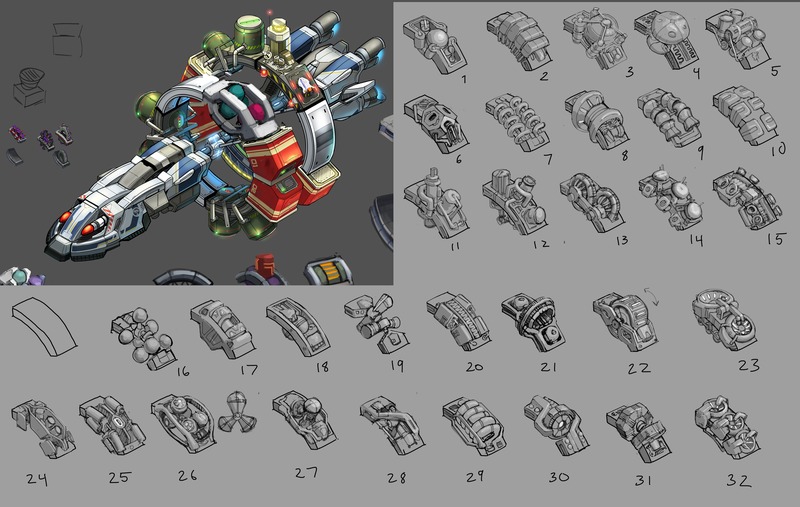 Early on, a lot of effort was spent coming up with different pieces that would make up the ship as you upgraded it. The idea was that by the end of the game, your ship would look substantially different from where it started, but also still be somewhat recognizable. Only Earthlings are crazy enough to put nukes on a ship. We just like them so much. 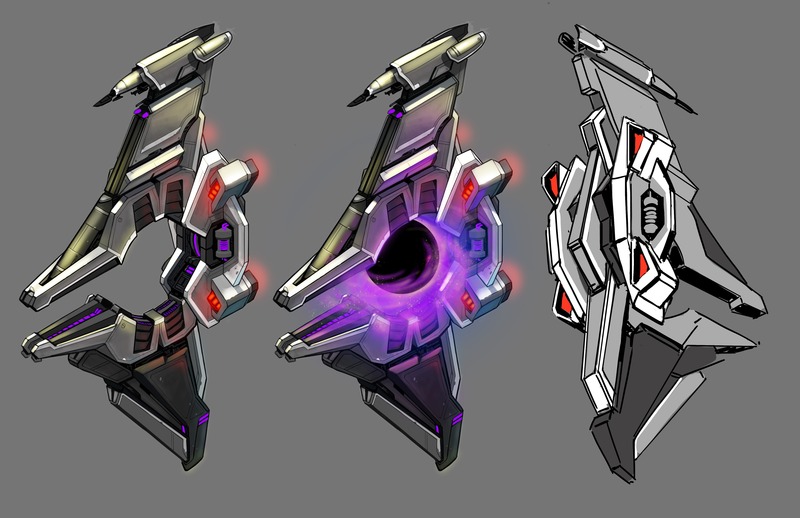 For alien ships, we tried to throw out all preconceived notions as to what an alien ship might look like. We would find other places for some of these ideas. The Scryve's primary weapon is a big, overpowering but inflexible death beam that matches their species and cultural background. Strong. Powerful. Unmovable. 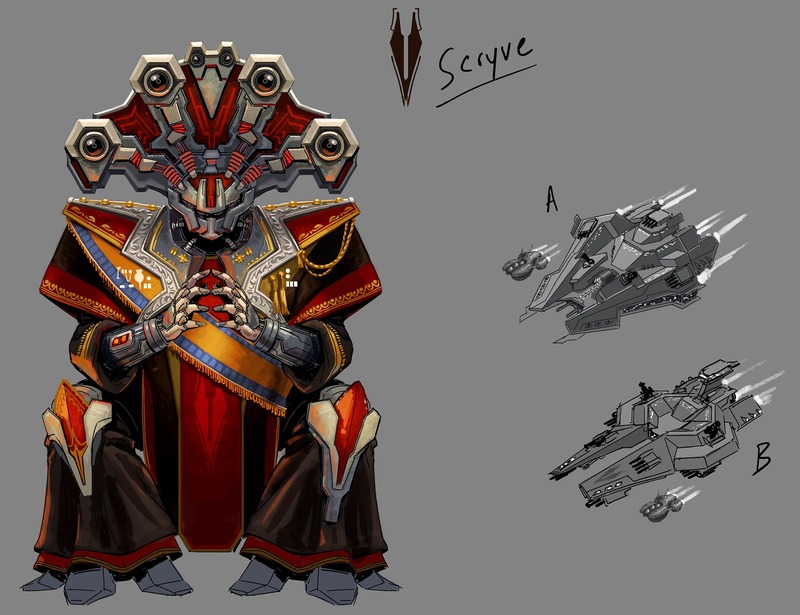 By contrast, the Drenkend are basically cannon fodder for the Scryve. They simply throw themselves enmasse at the enemy. 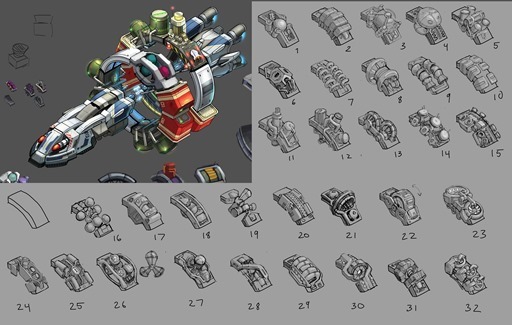 Making sure every ship was instantly distinct was central to their design. 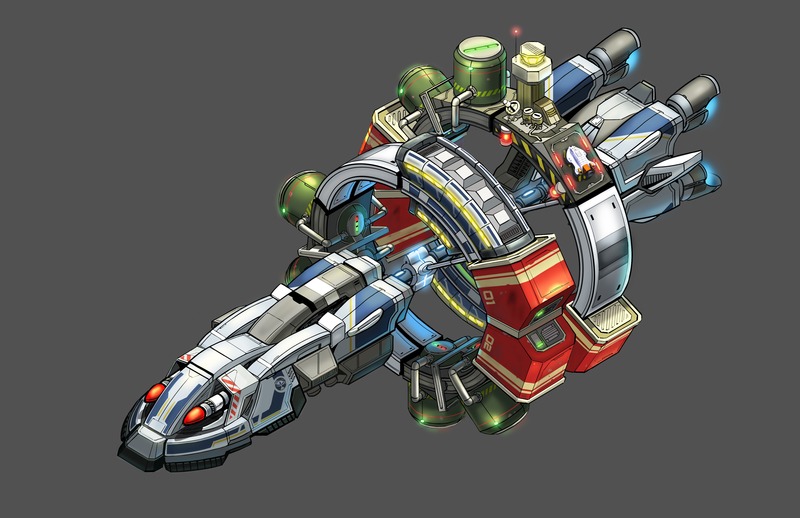 A space ship is an extension of a civilization's cultural heritage. 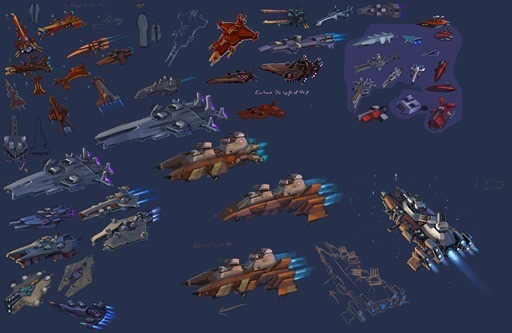 This meant that we couldn't simply just draw up cool ships in a vacuum. They had to be matched with what that civilization is about, including weapons. 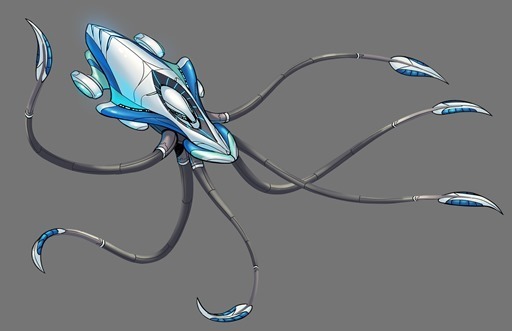 A civilization that lives in water and brings water with them is going to have a different design language than, say, humans with our love of nukes and lasers. 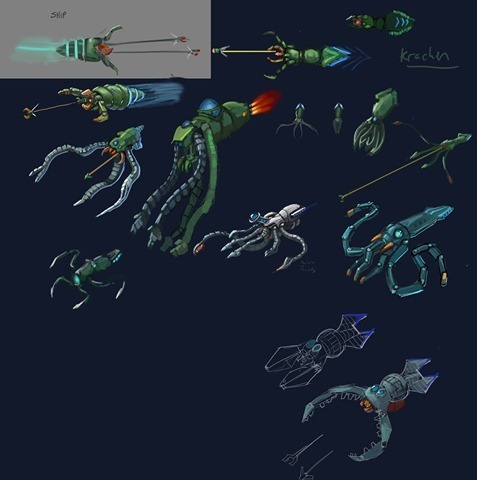 But we didn't think aliens should have ships that look like that. 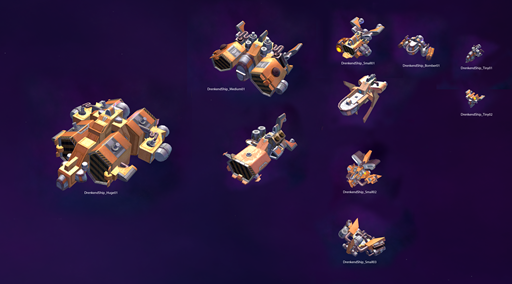 Our ships look like they do because we humans have a number of unique (in the Star Control universe) attributes, including our adoption of using explosions for engines (ICE), explosions to propel bits of metal, and explosions for making even bigger explosions (nukes). Not to mention, explosions for showing explosions (Michael Bay). Our civilization is very good at utilizing explosions. Of course, it wasn't enough to just have one ship per civilization. If we're traveling through a living universe, one would expect many different types of ships. Below are some examples of ships from the Scryve. These have both a gameplay purpose, as well as a way of deepening the Star Control lore. 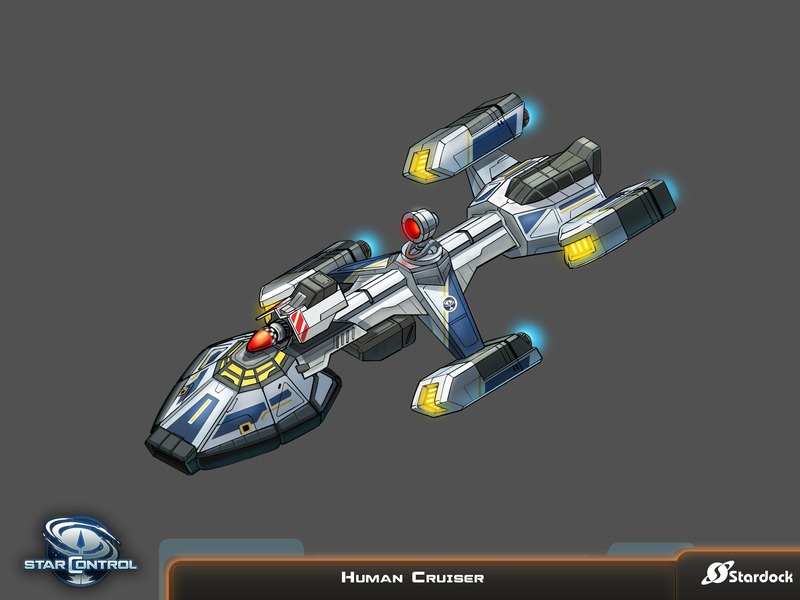 On the gameplay side, we wanted to have tougher and tougher ships to encounter if you went deep into enemy territory. We didn't want to rely on "you now must fight 10 of the same ship in a row," to make it tough. 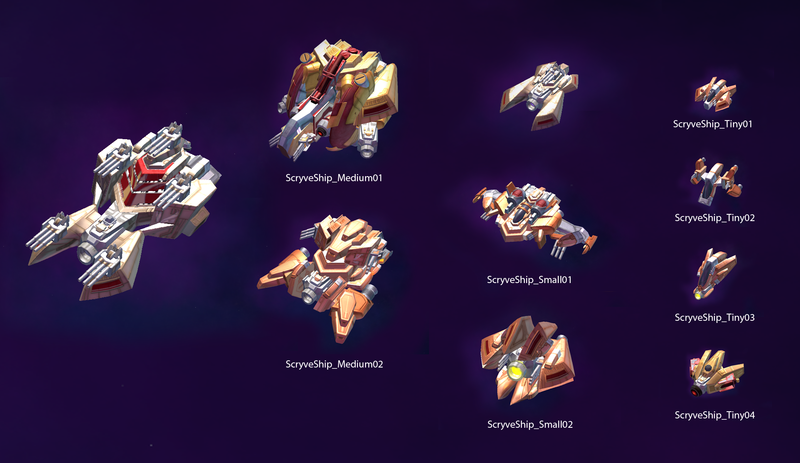 Early on, for example, the player will encounter pretty wimpy Scryve ships. 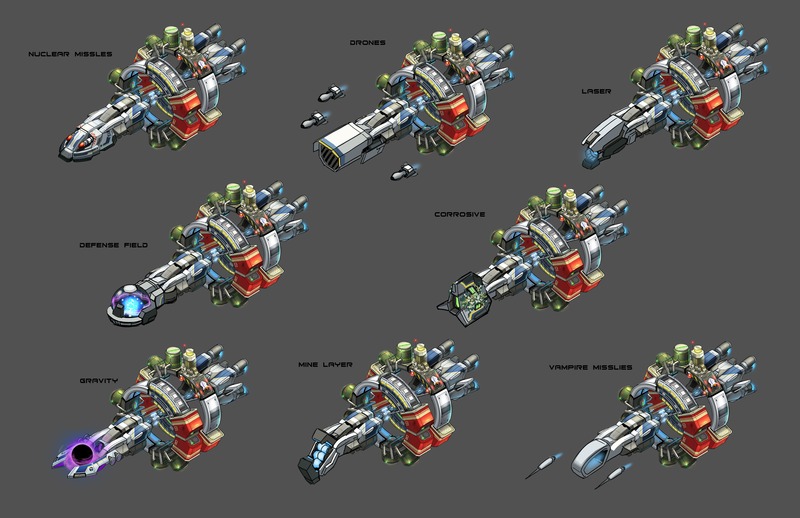 But later on, things become more challenging, and of course the weapons are more exotic. 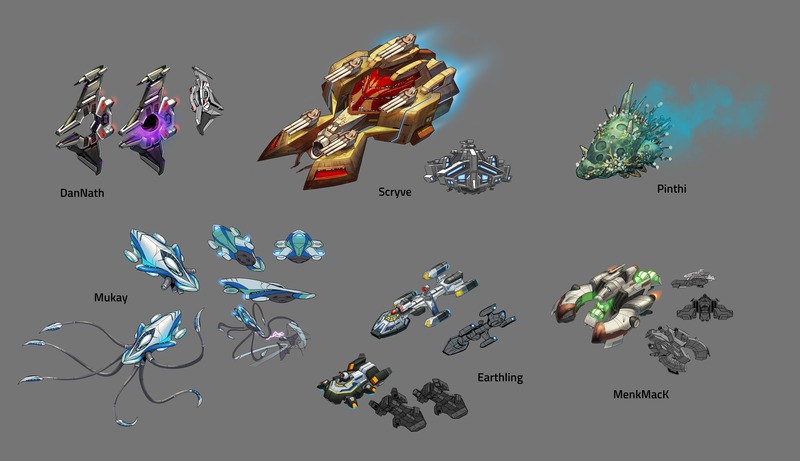 Ultimately, the ships of Star Control are extensions of that alien's civilization. 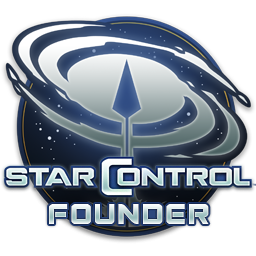 Star Control is designed not just to be a space RPG, but one in which the universe itself feels like it's alive and has been alive since before humans decided to get out of the trees. That is the best ! Please put that in the codex! 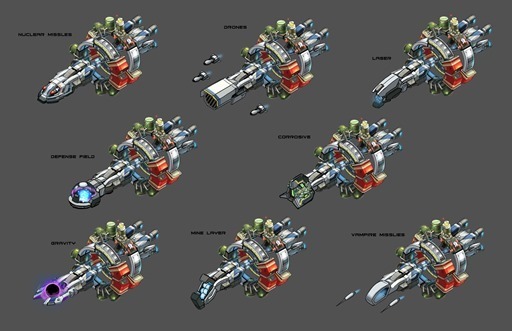 Our ships look like they do because we humans have a number of unique (in the Star Control universe) attributes, including our adoption of using explosions for engines (ICE), explosions to propel bits of metal, and explosions for making even bigger explosions (nukes). Not to mention, explosions for showing explosions (Michael Bay). Our civilization is very good at utilizing explosions. 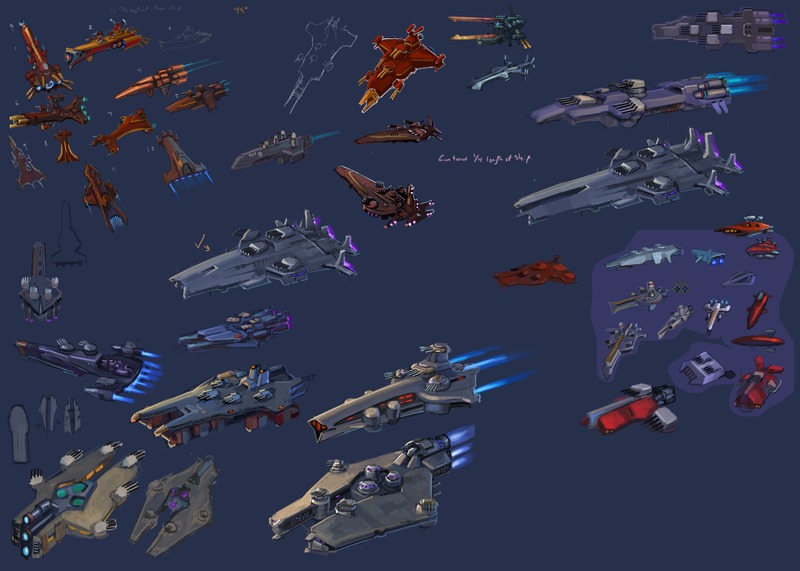 Great update, looking forward to seeing all these ship designs in action when the game comes out.